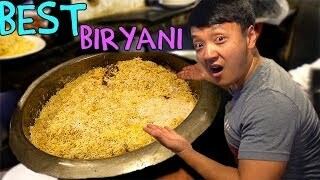 BEST Biryani! & Food Tour of Kolkata India: Kathi Rolls! 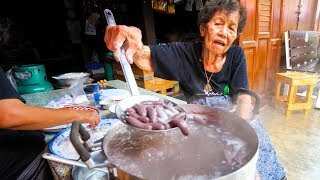 Thai Street Food - GRANDMA'S CRAZY SNACK in Chanthaburi, Thailand! Ever since arriving in India I was told that I must try some Indian Chinese food which is quite different than the typical Chinese food I've had all my life. So I went to Chinatown in Kolkata India to try some dumplings, noodles and spicy chicken. The Chinatown in India was not what I expected, mainly because there were not that many Chinese people. Also the food does taste like a very unique mix of Indian and Chinese cuisine. We first went to Territy Bazar which is in Chinatown and it's a market that is open very very early and closes soon as the food is sold out. Lol those pork intestine. CHITTERLINGS try them from a soul food restaurant boiled lots of hot oil yea ! Im Indian and we really need to clean our environment....... We don't need money to clean our town, lets not blame the British for everything... We can start doing this by stop throwing our Edible cover in the streets..... We can creat our own dustbin and burn our garbage later. Take Mizoram as an example its very clean because the people try their best to make their villages/town clean without the government fund. I'm from Meghalaya and I love Chinese food. I love pork but in Mumbai the pork is the worst. Btw where do they get the pork from in Calcutta? Would love to travel to Calcutta just for the Chinese dishes? I feel really full just watching how much you have eaten ! 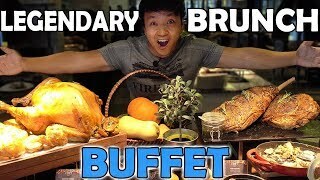 How do you eat so much? I suppose you do alot of work out. 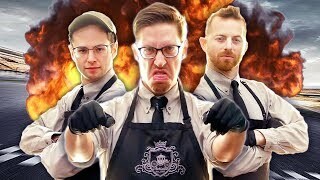 I liked you food expedition in Japan. Where is xing ping?? Is he selling Momo?? Very. good. foods dumplings in the street foods few hawker stalls very fresh healthy foods thanks. The food should not wrap with news paper. Mikey please come to Bhutan!! 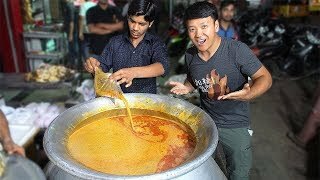 Nice Video :) Kolkata street food Just Won The Title of India’s Best Street Food Hub . It May look dirty but everyday lakhs of people are eating kolkata street food , lunch breakfast snacks and they are not dying , Cheap and best . Would love to see you explore more of India. You wanna eat tasty beef recipes? Come to South India. Especially kerala. It is gross to eat intestines. I’m just full from watching him eat. Lol..
Bengali Chinese food is the best!! I'm pretty sure this guy will gain at least a hundred pounds within a year. I just love to watch his videos. Good work. Keep it up. Thank you. Dude you gotta go south for the best seafood!!!!!!! Kolkata is just not a city of joy, it is also a heaven of food. You need to eat the chicken lollipops with schezwan sauce. It tastes best with it. Kinda feel bad that you didn't try it with that. All those who are commenting that India is so dirty you people are entirely correct it is seriously very dirty even more than you have imagined because i live in India I know but the irony is still many tourists come to India like our dirty food eat them and many companies earn a lot from India because of its excess and dirty population . And those companies and people are from your country only so you know what i mean🤷.But if you are going to say that those people that are from your country are not you, than we also not the generation that are at fault because our country has excess population from a long time and if you understand that this problem can't be generated and solved in one night it takes years, but we are still fighting with it and living with this excess population which caused poverty and dirtiness,and some of your people are liking it too. Mikey..u need to come to Bangalore.. U hv to..this is food paradise.. But i agree with ur choice on Kolkata.. But u gotta try local food rather... They are packed with flavors..
Can you share the Google map. Of this area. Fresh coconuts will have that fizz..
‏Well to be perfectly honest, in my humble opinion, of course without offending. anyone who thinks differently from my point of view, but also by looking into this matter in a different perspective and without being condemning of one's view's and by trying to make it objectified, and by considering each and every one's valid opinion, I honestly believe that I completely forgot what I was going to say. I absolutely cannot stand liver!! Uck!! Momos in North east India are the best, taste is just amazing there but if you try momo in Delhi or anywhere else in India except NE, you won't find even 1% of it. I think if you would've been in the northeast you would've loved it more.. we have different type of dumplings.. and you should try the pork intestines here it's really good..
zee zee I'm not saying it's our traditional dish.. your way of saying that only Sikkim and Arunachal have dumplings is incorrect. and I'm saying most states have dumplings made by the people in their own concept..
zee zee if the rock is in the Northeast then yeah..
+Jessica Lyngkhoi no I m not... Do you live under rock?? The crunch sound of the fried prawn!!!!! I wanna eat that!!! So what do you do with leftovers? I’d be scared to eat there because it doesn’t look very sanitary. Do you ever get sick eating street food?? I really admire the appetite of Asian people, and how they do not gain much weight though eating a lot (I guess chili and hot spices, duno). Can’t handle the organs. Mikey’s a soldier. Cheers Mate! 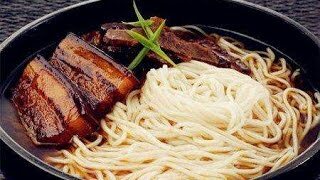 This food looks very yummy to eat, I luv noodles! If The Chinese guy with specs who is selling momos wouldn't have been here then u also wouldn't have known that Chinese breakfast exists in kolkata. Looks pretty tasty, but would be kind of worried about Dehli belly.